When someone on reddit posts something vague like "volcanic island over here" I like to find out if I can what's the name of the island? What's the [short] story on this? So I went and found the page this photo may have originated from on wikimedia... all the other results Tineye gave me were webpages in spanish. 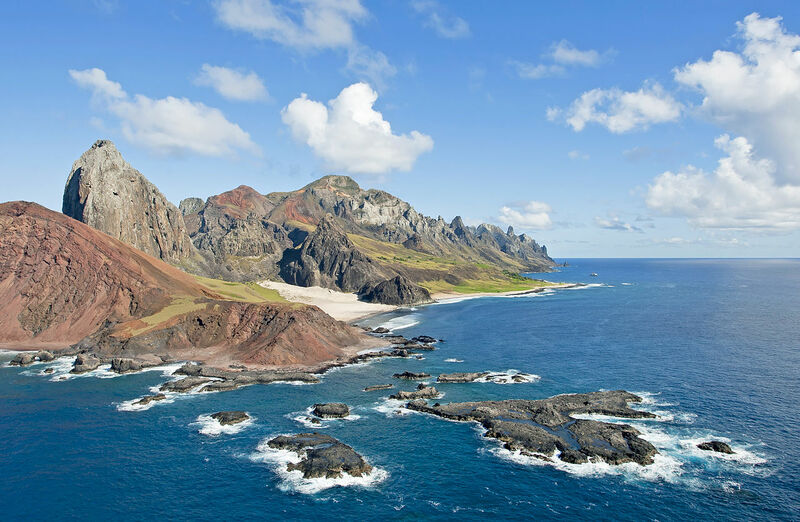 "Trindade is a volcanic island off the the coast of the Brazilian state of Espirito Santo. It constitutes an archipelago with Martim Vaz. The distance to the nearest coast of mainland Brazil is 1167 km, and the surface area is 9.2 km2. It is part of the municipality of Vitória."